National Donut Day is fast approaching. How will you be celebrating? 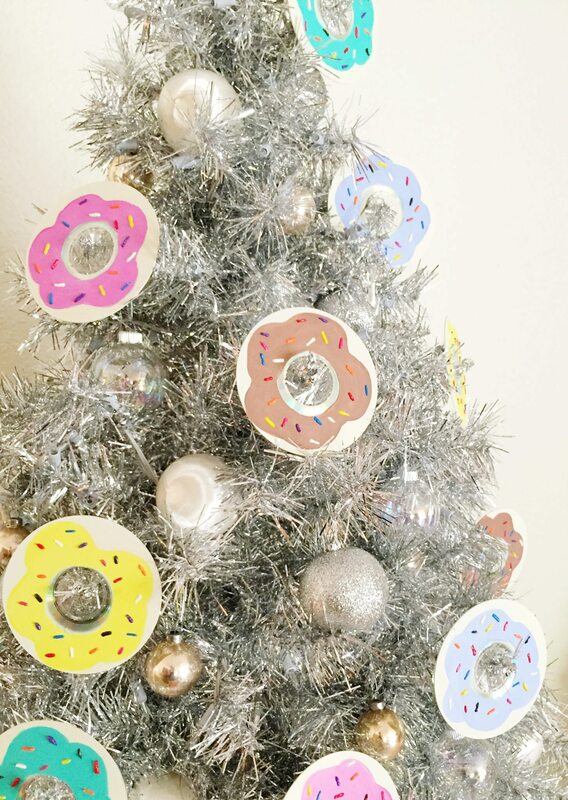 So many adorable DIY choices to choose from, but as I do for every holiday major or minor I’m decorating a tree with donut ornaments. 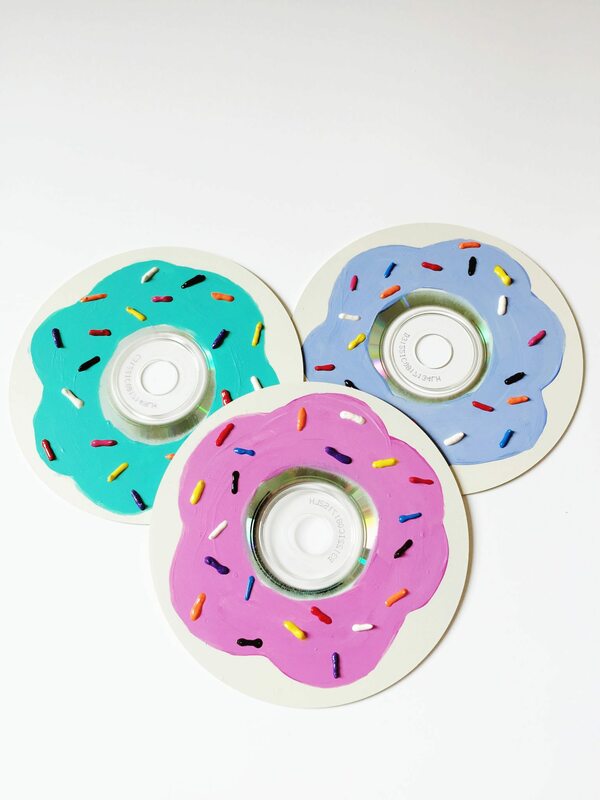 Plus who does not love a good donut craft? 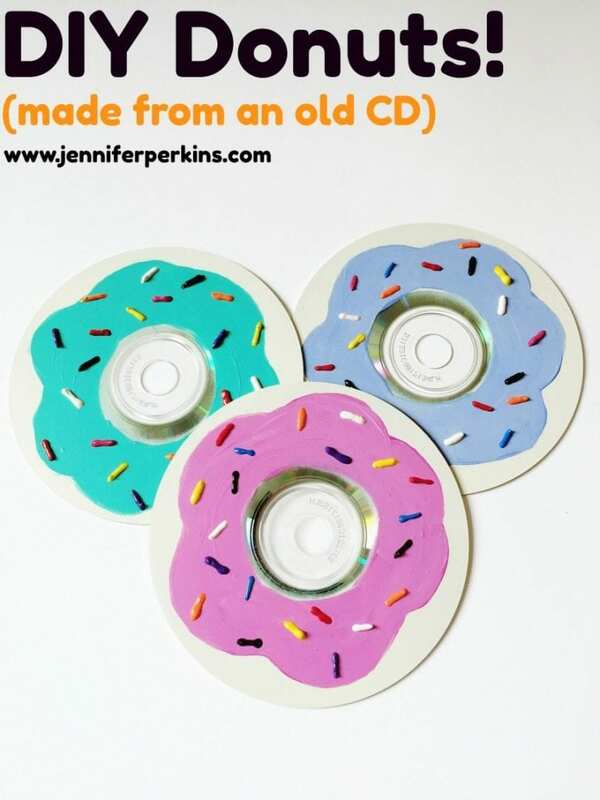 Pop over to the Treetopia blog for all the glorious pictures of my Donut Tree in full and stay right here to see how I turned an antiquated piece of music storage into a sprinkle covered baked good! Place your compact discs outside on a covered surface. Add something to the center that is round so that the paint will not cover this area. 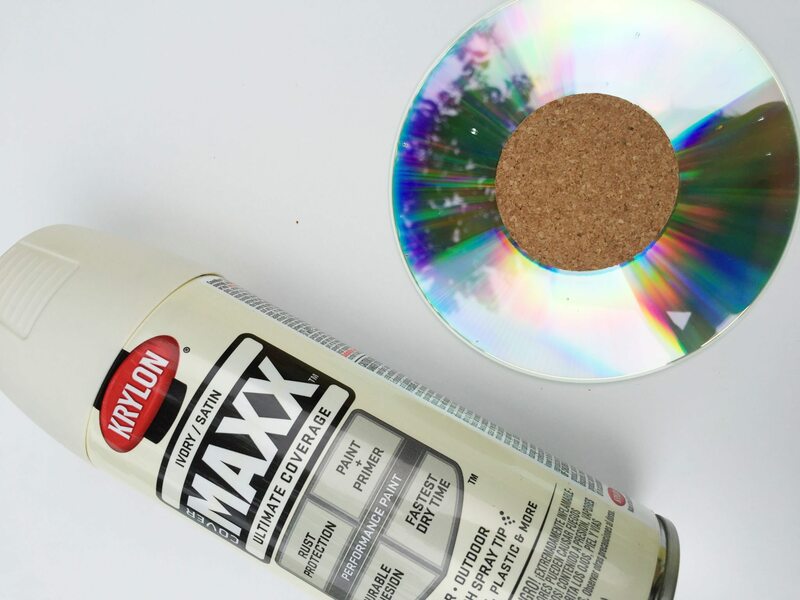 Several light coats are best, make sure the entire CD is covered. If you want chocolate donuts go with brown paint. 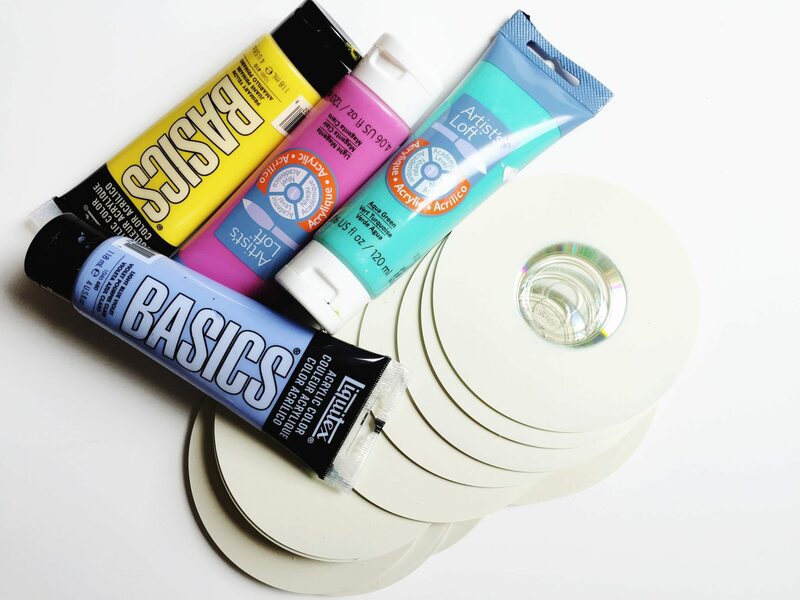 After the paint has dried on your discs apply the “icing”. 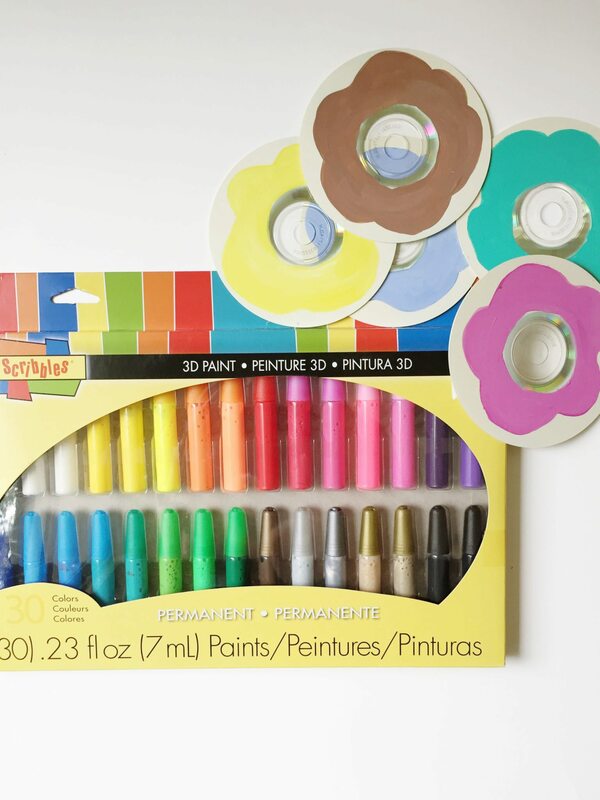 Use acrylic paint and a thin paint brush. Donuts tend to be a perfectly round in the center and curvy on the edges. When the icing paint has dried using dimensional paint like Scribbles Puffy Paint add sprinkles in a random pattern. Allow to dry. 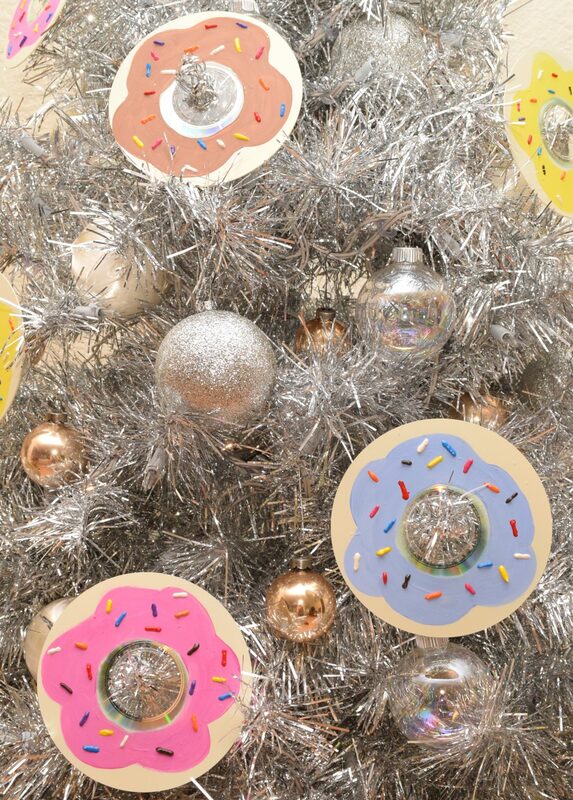 Decorate your scrumptious tree. I decorated my Silver Treetopia Tree and I think it looks cute enough to eat. On a side note my kids have already asked to keep the donuts for their play kitchen. Win-Win. Pop over to the Treetopia blog for more pictures of this adorable tree. Posted May 26, 2016 & filed under Christmas, Cooking Crafts, Crafts, Holidays, Recycled Crafts, Uncategorized. Hi Jennifer! These donuts are SO CUTE! What a fun idea, and I bet your kiddos love them. Thank you for sharing at #HomeMattersParty this week. I so love this! Thanks for sharing at the Inspiration Spotlight party. Pinned.